The Glorious Twelfth. The name evokes a celebration, or perhaps a bygone regiment charging bravely into battle. A Beethoven symphony, or a particularly beautiful augmented chord. In reality, it refers to a blood-drenched date on the aristocratic social calendar, when the red grouse shooting season begins. The hunters take to the hills in droves on this day in August, when the conditions have been judged just right to start killing hundreds of birds for fun. But this is not a lament on the brutality of the sport in itself – on the contrary, it is often necessary to artificially control species populations, especially in the case of animals with no natural predator such as deer. However, it is quite a different story to breed birds specifically for hunting and to paint a coat of conservation gloss over the top. But so the narrative goes: that 75% of the world’s heather moorland is found in the UK (the vast majority of that being in Scotland), and it is only there because of shooting estate management. This tenuous link is being worked hard by those who wish to reinforce the status quo of Scotland’s massive land-ownership inequality, and the support that comes from conservation bodies such as SNH and the Game and Wildlife Conservation Trust lends a validity to these claims that have only elements of truth to them. The formation of the advocacy group ‘Wildlife Estates’ smacks of the desperation estate owners must be feeling as land reform gains traction in Scotland. This transnational organisation aims to highlight the beneficial role that sporting estates play in habitat protection and biodiversity, with a view to influencing EU policy. It states, rather ominously, that landowners need to ‘take the necessary precautions to shield themselves from current or new European legislation regarding the management of their land, as far as hunting, shooting and fishing are concerned’, and that accreditation from this group (candidates have to prove their dedication by fulfilling a set criteria of environmental goals) would provide information and support to do this. Within Scotland, Scottish Land and Estates serves as a go-between for Wildlife Estates and the landowners themselves, and their website is littered with articles and studies backing up the claim that estates have conservation interests at their core. The notion that conservation is at the top of a sporting estate owner’s agenda is immediately disparaged by the name alone: that a sporting estate’s purpose is to be a sporting estate. Yes, there are ecological benefits to managing the land in such a way, but there are certainly downsides too. Deer numbers are kept purposely high so as to ensure whichever lord or duke is paying up to £15,000 a day for the privilege bags himself a stag, which has drawn criticism from conservation groups who advocate a deep cull. Many estates also poison (often rare) birds of prey that eat grouse chicks. The heather moorland so treasured by environmentalists exists solely because it’s good sport to shoot the birds that call it home. And therein lies the bind. Scottish sporting estates are a refuge of the very rich, and as such they are viewed with confusion or even suspicion by the people who can’t afford to spend a year’s wage on a single day of shooting. They are a declaration of prestige, and until not too long ago, flaunting that was a given. Thankfully, the times have changed somewhat, and land reform of some variety now seems inevitable. It is no surprise that Scottish Land and Estates are opposed to many of the suggestions put forward by the Land Reform Review Group, which published its findings back in May, but objections on the grounds of the sport were mainly absent. Instead, the group were keen to stress the long term view of their estates on the grounds of environmental stewardship, hammering home the message that landowners view themselves as custodians of nature, and that such a responsibility can only be wielded by a select few. While there are a couple of examples of landowners who are conservation trailblazers on their estates, the vast majority operate primarily for sport. But flick through the glossy brochure on ‘the modern face of Scottish land ownership’ and there is only a single mention of shooting taking place, buried deep within the stunning wildlife photography and smiling landowners talking about community involvement and job creation. One estate owner, keen to emphasise his environmental credentials, talks about the benefits of muirburn (burning older heather so younger plants can thrive) for habitat restoration, but nowhere does he mention that the main reason for muirburn is because grouse bred for sport prefer to eat younger heather. The evolution of the modern landowner image from stuffy recluse with his shotgun to hands-on naturalist has been a PR exercise designed to maintain hegemony. It is not the shooting and killing of wildlife that is the real issue here, but the fact that transparency and participation are denied to all but a select few. It is not that sporting estates are objectively bad (though that depends on your ethical stance on animal killing), but the fact that the use of this land is decided by a wealthy elite, for a wealthy elite. It is not that conservation of wildlife and environmental management on these estates is unwelcomed, but that the communities that live and work on or around these estates have no voice or power when it comes to their landscapes. In an era when recreational outdoor tourism is one of Scotland’s biggest draws, it is no wonder that landowners are keen to bury a venture that costs so much when many of the people using their land do so for free. Despite claims that sporting estates provide much needed stimulation for the rural economy and create jobs, most estates operate at a loss and the jobs are often seasonal and poorly paid. By re-branding themselves as the people who make Scotland’s natural environment possible, they manage to embrace the people who care for the land with one hand whilst pushing them away with the other. Land reform would threaten your beloved moors and glens, they claim – leave it to the experts. The assertations that sporting estates are the best form of environmentally sustainable land management together with being the best way of bolstering the rural economy highlight the inherent privilege that has come to signify country life in the highlands. I am not here to demonise landowners as status-hungry elitists (although some of them certainly are) – merely to question their self-implemented role as environmental stewards. It is insulting to suggest that only a landowner with a huge estate can have the vision or knowledge necessary to care for the environment. It is especially insulting to assert that sporting estates represent the pinnacle of ecological balance and biodiversity of the highlands, when their primary reason for existing is for anthropocentric pleasure. It is only through land reform that we can have true democratic representation of our natural environment, and if sporting estates still have a role to play in the recreational economy, they should be made much more accessible and affordable. Until that day comes, there is very little about the twelfth of August that is glorious in any way. For those of us with an unhealthy obsession with land reform, it’s been an exciting time. 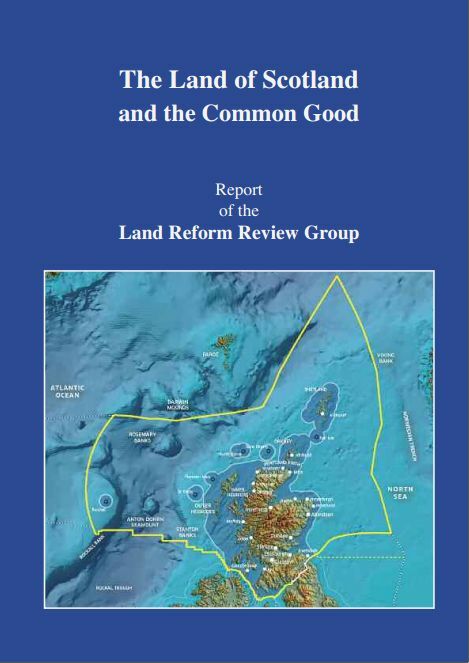 The Land Reform Review Group released their final report The Land of Scotland and the Common Good. It was significantly more feisty and radical than their interim report, to my great relief, and if its recommendations are seriously pursued by the Scottish Government we could see some definite progress on land in Scotland in the coming years. It’s impossible to justify this status quo. Abolishing feudalism in 2001 seemed like a progressive, if embarrassingly late, step. But in reality feudalism in Scotland had become a largely symbolic order, underneath which was outright property law, as elsewhere. Feudalism, though in principle ‘legalised servitude’, did incorporate some notion of the social dimension of property, being based (in theory) on patronage rather than ownership. By the 18th century though this had been ‘re-interpreted’ by lawyers to bestow outright ownership, a symptom of the clan chiefs having gained power over, and distance from, their people. The strange and twisting history of Scotland – and particularly the continuation of primogeniture until mid-20th century – produced land ownership in the Highlands 1,000 times more concentrated than in Western Europe. 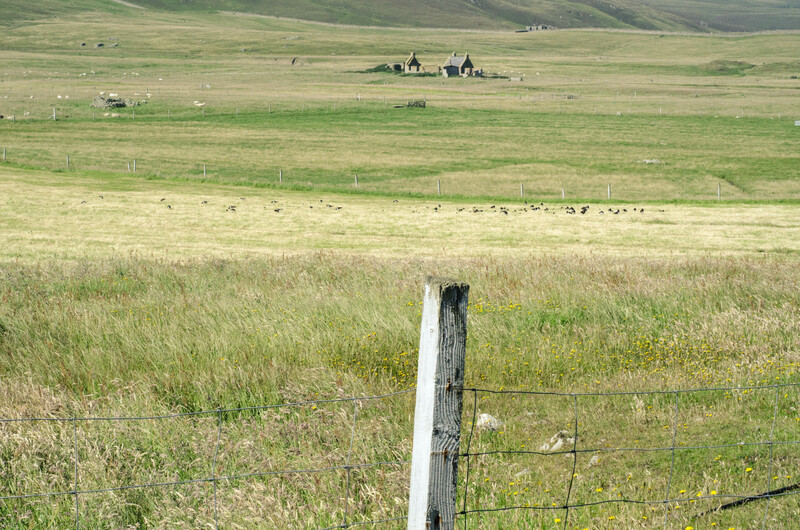 The Clearances loom large in any discussion of land in Scotland. Behind the ‘empty glens’ – the romanticised (and politically useful) imagery of the Highlands – lie violent histories. The ‘Massacre of the Rosses’, in 1853, is one of the most notorious episodes, in which it’s said that locals of Greenyards, Strathcarron – mostly women – stood up to the police sent in to evict them and were brutally beaten, some to unconsciousness, one to death. Of course this is to take the most extreme example. The Clearances had many factors and voluntary migration to escape economic hardship was certainly one. But the class politics of this, the concentrations of power and wealth, are inescapable. A quick search for Gruinards/Greenyards shows it is now a luxury fishing location, complete with baronial lodge, where the services of a ghillie and housekeeper are at your disposal. Rates are in the thousands. Rural Scotland is for the rich, with the tax loopholes and subsidies to help them along. A ‘false question’, he adds, ‘for this landscape is masterless’. But essentially this issue is about power, and as so often in this stratified and grossly unequal society, about class power. 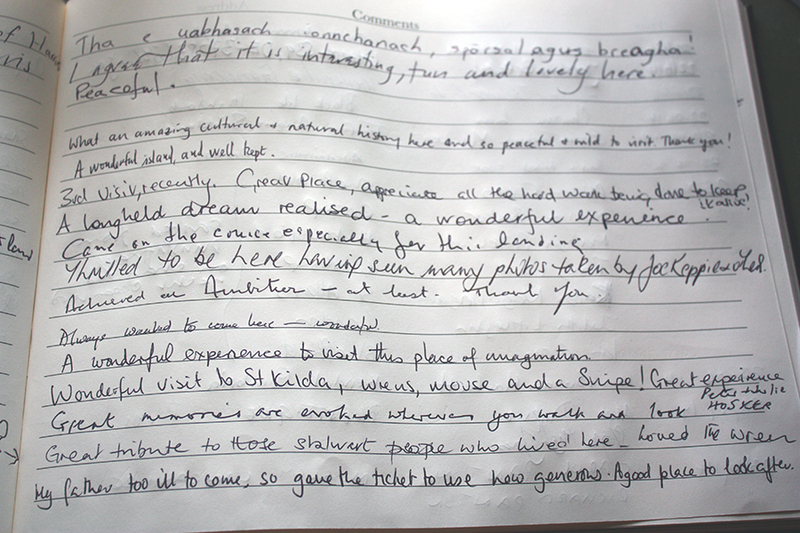 Who gets to enjoy the countryside? Who gets to live in it? 50% of heather moors are used for grouse shooting by large sporting estates. The proliferation of second homes and holiday homes and consequent rural housing shortage is driving depopulation and draining communities of their young folk – and with them, their hope. What is the future of rural Scotland? An empty shortbread façade, ecologically barren through overgrazing, with dwindling and ageing populations dependent on seasonal and unreliable tourism? I’m being melodramatic, perhaps, but this isn’t a million miles away from reality. Land is a common resource. It is also a finite one, so massive monopoly control blocks any progress, and further entrenches the power of Scotland’s elites. Land is arguably the most crucial aspect in our development – social, environmental, economic and spiritual. 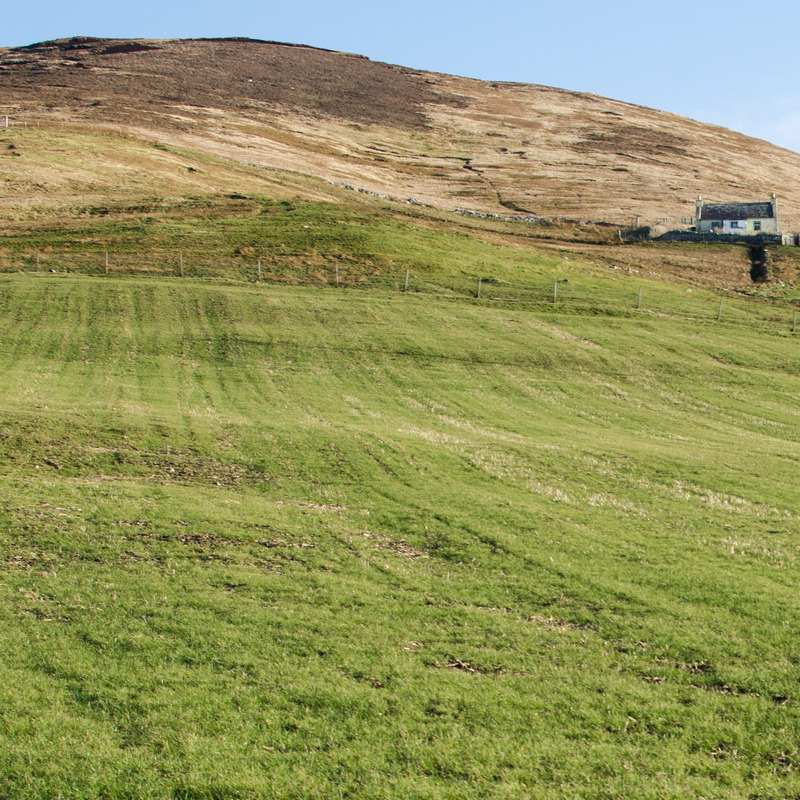 The targets for community ownership by the Scottish Government are welcome, but without the far-reaching structural and legal changes proposed by the Land Reform Review Group, they will not be achieved. The LRRG report is emphatic on an important point – reform so far has been ‘characterised by periodic review and piecemeal intervention.’ Land, the authors argue, must become a separate policy area. There are already clear conflicts between the SNP’s neoliberal ‘competitive business tax’ mantra and the LRRG’s proposals to end business rate exemptions on sporting estates. But the momentum is there for change. Land reform is essentially about democracy, as is, incidentally, a yes vote. Many of the recommendations LRRG sets out are possible within the Union, but some are not. However, regardless of the referendum outcome, the momentum for land reform will not die down, just as the growing demand for greater and more meaningful democracy is here to stay too. Andy Wightman, Scotland: Land and Power – The Agenda for Land Reform, 1999. Donald Ross, The Massacre of the Rosses of Strathcarron, Ross-Shire, 1886. Norman McCaig, The Poems of Norman McCaig, 2005. Alison Elliot et al., The Land of Scotland and the Common Good (Land Reform Review Group, Scottish Government, May 2014). When you spend a lot of time discussing environmental issues, one thing becomes abundantly clear: conservation objectives are difficult to argue against. When expressing my concerns over current environmental management practices, I’m frequently asked; “So you don’t want habitat protection?”, or told; “We have to put these measures in place or our most important species will go extinct”. My personal favourite is; “We might as well get something out of it”, as if accepting that the environment coming merely second-to-last in the development debate is something to celebrate. All of these statements have been uttered in one guise or another over the current discussion on biodiversity offsetting, which involves mitigating any potential destruction of habitat or ecosystem due to development by buying an area of land to either translocate the affected species to, or to restore the area to a similar ecological habitat. DEFRA (Department for Environment, Food and Rural Affairs) are debating the issue as we speak, in London Zoo of all places (the irony of natural entities being caged in has not been lost on me). The conference aims to set up a framework of offsetting standards, and follows guidelines issued in the 2020 EU Biodiversity Strategy, in which targets include ‘maintaining and restoring ecosystems and their services’ and ‘no net loss of biodiversity and ecosystem services’. There are a couple of red flags in these targets, mainly the use of the term ‘ecosystem services’ in both examples. 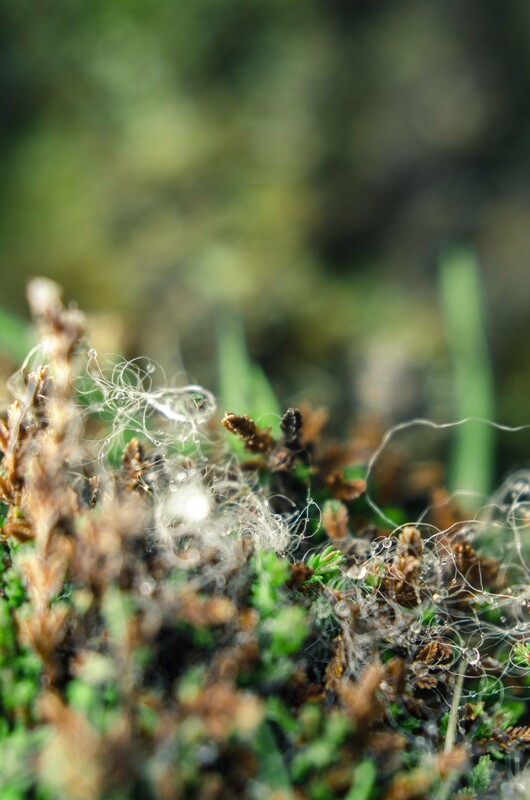 A seemingly innocuous phrase, ecosystem services is an umbrella term for the ways humanity benefits from the services provided by the environment – namely, clean water, flood control, air quality etc. In general, the greater the biodiversity of an area, the better the services will be they provide. “Great!” the advocates cry, “We get to save the environment and benefit ourselves. It’s win-win!” – and thus the great neoliberal myth is propagated; that a finite resource can continue to grow so long as the correct value is placed on it. In reality, the danger of promoting this extremely anthropocentric idea means a shudder to our entire value system. At the ‘Nature is not for sale’ forum (organised as a response to the DEFRA conference), the environmental philosopher John O’Neill managed to sum up the situation brilliantly in an anecdote from famous socialite Zsa Zsa Gabor, who once said in an interview when asked how she managed to keep her husband young and healthy: “Why, I swap them for a newer model every few years”. This neatly encapsulates the distinction between de re and de dicto philosophy, which we can apply to the concept of ecosystem services. In Gabor’s case, she desired only that her husband, whoever he may be, be young and healthy (de dicto), as opposed to wanting her specific husband to be young and healthy (de re). Within the ecosystem services framework, the valuation system has shifted from de re, where our desire was for the ecosystem to be biodiverse and healthy, to de dicto, where our desire is to gain the ecosystem services provided, regardless of how or where they may be. 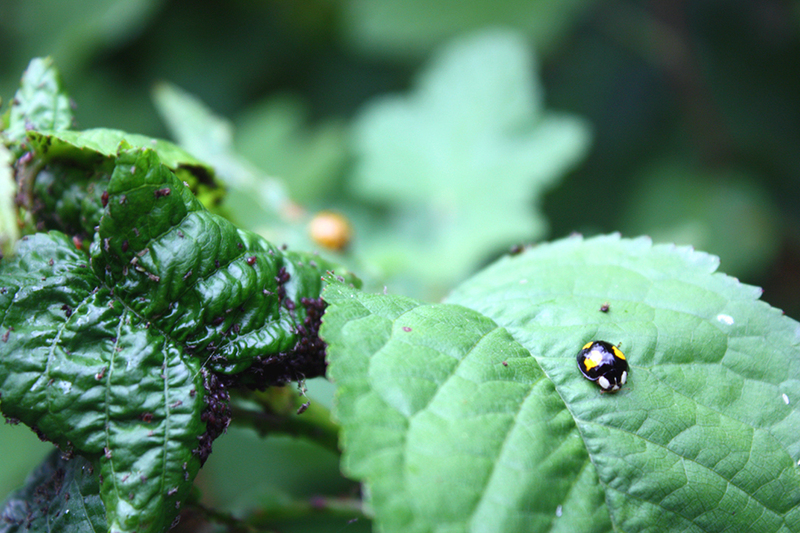 Biodiversity offsetting underpins this notion, disregarding any attachments to place and identity, alongside the very dangerous possibility of descending into ‘allowable natural destruction’, and further commodifies nature into a package that can be bought and sold for human consumption. One of the main positives that proponents of biodiversity offsetting – usually the developers – are keen to extol is how it would simplify the planning system. Instead of having to conduct rigorous environmental assessments, offset sites can merely be bought and sold on the market like regular commodities. And with no mandatory metric system in place, there is little the planning authorities can do to enforce the quality or longevity of these sites. Also, unlike England, the Scottish single tier planning system means that local councils have very little power over the bigger developments (which are likely to be the most environmentally destructive), which means that the people most affected by this have the least power. The planning system already favours big businesses and landowners, so limiting community action even further is certainly not the direction we need to take. The reason why offsetting has seen some success in the United States has been down to their stringent enforcement hierarchy, which makes mitigation an absolute last resort. There is no such system in place for Scotland (and the rest of the UK) as of yet, and by pushing through offsetting as a viable option without setting clear targets and contracts can only lead to a slippery slope of what actually constitutes compensation. It is very difficult to assess a healthy ecosystem, and if there are loopholes, it is likely a developer will use them in order to shrug responsibility. It is also important to prevent cases such as Scottish Coal, who were given permission to mine a site providing they mitigated the damage elsewhere. Before they could do this, the company went bankrupt, leaving no money whatsoever for the promised mitigation. While ecosystem health is indeed difficult to measure and value, it is achievable in theory (the success of the practice remains to be seen). However, what is much more difficult to measure, and I’d argue impossible to place a monetary value on, is a sense of place and identity. Many people feel connected to the land around them, and often areas of natural beauty are extremely important to well-being, health and recreation. Irreversibly changing these areas creates a sense of loss that is impossible to replace, especially as there is no guarantee that offset sites will be in the vicinity of the developed site. One of the most worrying aspects of the biodiversity offsetting strategy is the creation of habitat banking. This involves a landowner setting aside an area for the potential of offsets, restoring the ecosystem back to health, and then selling off the land to developers as and when they need it. It removes responsibility from the developer, who merely has to hand over the cash, and it removes that land from any contestations of ownership. The landowner has pocketed a hefty sum for very little work, the developer is happy, and the people who live on or around that land are left even more marginalised than before, with what little hope they had of ever owning it obliterated. Green-grabbing is common practice for rich developers in the global south, but its fundamentals are the same when happening outside your front door – it is still extremely unfair. Returning to my frustration in common conservationist attitudes that ‘we need to get what we can’, this attitude promotes a dangerous justification of the commodification of nature. The idea of ‘this is the system we have, we have to work with it’ has not worked so far, so to continue to believe that merely rebranded neoliberal schemes to ‘save nature’ will work is naïve at best, and it means the system continues to expand without contest. A key example in Scotland is the Donald Trump golf course, which was built on an SSSI despite a bitter protest from local residents. A speaker at the biodiversity workshop reasoned, had offsets been in place at the time; ‘we could have extracted some money from him’. This attitude is defeatist, yet common, in a world where environmental concerns have taken a back seat to capital-driven investment for a very long time. Whilst all these arguments are important, it is the attitude of conservationists and environmentalists that must change if we are to truly make a difference in protecting the natural world. Accepting that we must play the game of nature commodification, only to end up with a consolation prize is not good enough. In order to safeguard the environment beyond the short term, we have to change the rules. Whilst on a train journey to the Highlands recently, I was struck by the amount of rhododendron lining the tracks. Extending deep beneath the canopy and almost spilling out onto the rails, covering rotting tree trunks with their glossy dark leaves; it was everywhere, choking the life from the forest floor and offering a stark warning of the perils that come from introducing species for which there is no supportive ecosystem in place. A well-known cautionary tale of introducing non-native species is that of Eugene Schieffelin, whose dream was to introduce all the birds mentioned in Shakesperean plays to North America. His introduction of the starling to Central Park in 1890 was so successful, the bird now numbers 200 million and has caused significant devastation, ranging from bringing down planes to crop failure. This innocent looking bird, written about so eloquently in Henry IV, is now a blight to both the US economy and environment. In the UK, it is the grey squirrel that receives the brunt of invasive species vitriol, with even Prince Charles weighing in and coming down firmly on the ‘send these scroungers back to where they came from’ side of the squirrel debate. Grey squirrels carry a disease deadly to the British native red squirrel and strip bark from trees, so there is a conservationist argument for controlling their numbers, but to see a member of the British aristocracy decrying their existence in this country displays a certain irony, as it was Victorian upper class tastes that proliferated the grey squirrel in the first place. 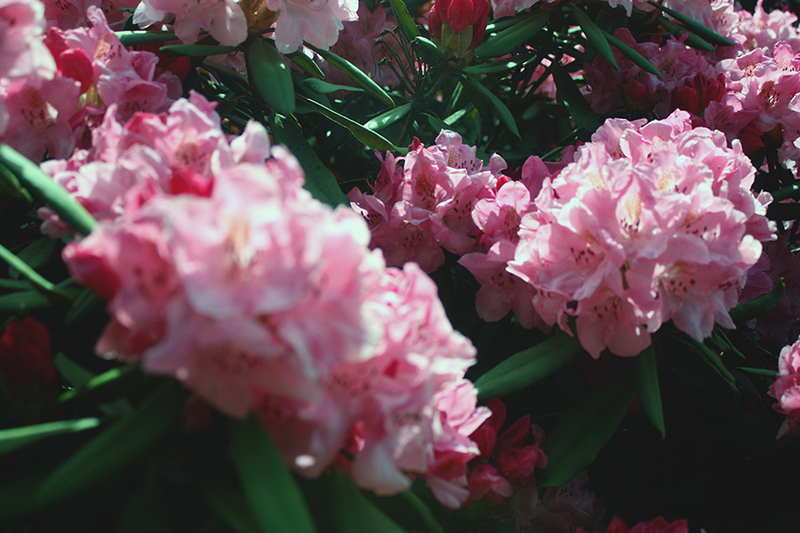 The rhododendron has a similar history. Introduced to Britain in the mid-18th century, it quickly became the must-have plant for the new trend of woodland gardens, a move away from the more manicured country garden with its bedded-out exotic plants from South America. The woodland gardens, promoted by horticulturalist William Robinson, placed an emphasis on more ‘natural, hardy species’, which were allowed to sprawl beyond the confines of their beddings, and while native plants were preferred, the rhododendron was popular due to its frost-resistance and sturdiness. The plant was especially favoured in Scotland, due to its suitability for providing game bird-cover for the vast sporting estates so prevalent north of the border. A plant truly representative of the landed gentry’s existence in Scotland, the rhododendron soon became ubiquitous to Scottish woodland. What the Robinson disciples failed to realise was the effect their new craze would have on the surrounding ecosystem. Rhododendron bushes have dense foliage which prevents light from reaching the forest floor (a problem also experienced by coniferous plantations) and thus choking out any smaller species. If that wasn’t enough, its leaves are poisonous to any mammal that consumes them, and its thirsty roots leach most of the water and nutrients from the soil, leaving it dry and barren. It is of little wonder that conservation organisations view the species as a top priority for eradication. What is especially interesting is the zeal with which some Scottish landowners have embraced conservation objectives to restore their lands to their former ‘native’ glory. Perhaps the most famous of these landowners is Paul Lister of Glen Alladale, heir to a large furniture fortune and owner of 23,000 Highland acres that he plans to rewild with boar, elk and wolf. Bemoaning that the Highlands have lost most of their biodiversity to sheep and deer grazing, he fails to mention how landowners before him were the cause of this biodiversity black hole, moving people off their land to make way for sheep, and cultivating large deer herds for shooting parties. And now, with the same enthusiasm for clearing rhododendron as their predecessors had for clearing crofters off their lands, this new breed of ‘benevolent’ landowner plans to have the Highlands hopping with all manner of creatures except one: the human. Whilst it is important to recognise that rewilding benefits biodiversity and ecosystems in many ways, promoting it as a restoration of Scotland’s past without mentioning how much of that past was to do with humans cultivating the land is lazy at best, and to allow their return only through the prism of ecotourism merely accentuates the commodification of nature. When humans become removed from living and working on the land, the only way they can connect with it is through tourism, and this is the way Scotland will remain whilst much of its land remains in the ownership of so few. It is only through land reform and the wresting of these ill-gotten estates from the hands of their owners – conservationists of not – that Scotland can become truly rewilded through the promotion of community land schemes. It is no coincidence that one of the most successful rhododendron eradication projects has come from the Knoydart foundation – a community owned estate encompassing the village of Invererie, whose residents were only too happy to roll up their sleeves, don their gloves, and remove the rhododendron from the land that they own. Yet for the vast majority of Scotland, there seems to be little room for this hardy native resident in the vision for a pristine wilderness, which in reality shares much in common with the carefully planned ‘wild’ woodland gardens of the Victorian era, except in the form of ecotourism and hunting parties. 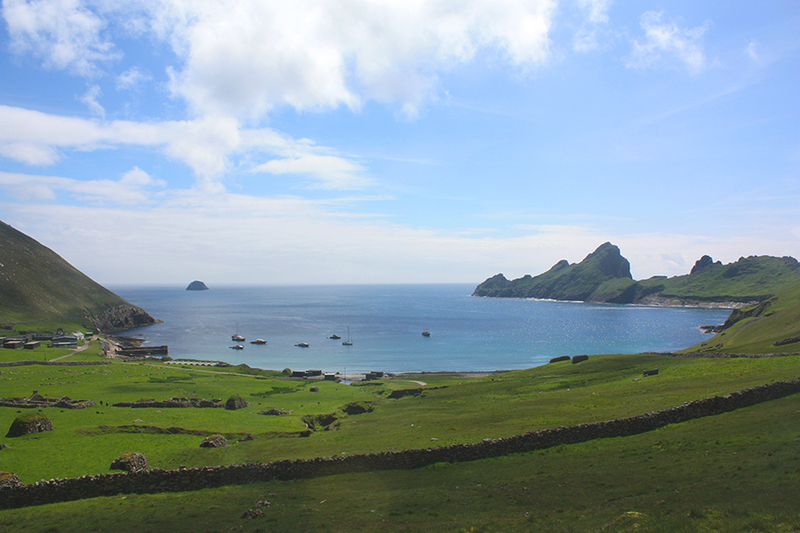 And if you do happen to be human and want to stay in this untainted paradise – well, it’ll cost you £7,500 a week.